This is perfect for those who want a treatment to facilitate relaxation! Massage is fantastic for rebalancing your nervous system which is often the cause for all kinds of sleeping problems. Long term anxiety or worry can keep your sympathetic nervous system in active mode and lead to more serious health conditions. Massage has been shown to promote relaxation, improve sleep quality and relieve stress and tension. 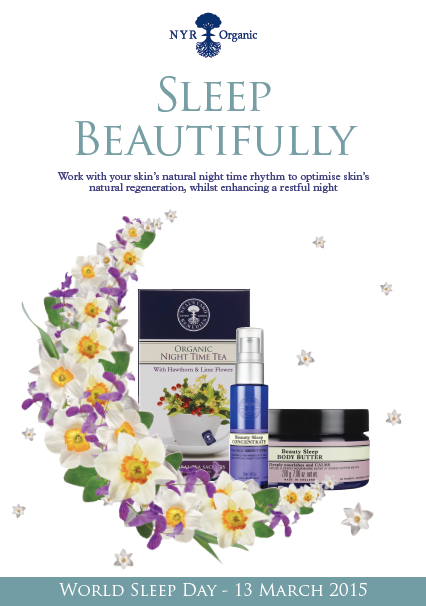 Combined with essential oils selected at the time of consultation, NYR Beauty Sleep Concentrate and Body Lotion or Butter are also used to make this treatment the ultimate luxury! Float home ready for bed and sink into blissful slumber! a mini facial using NYR cleanser and toner suitable for your skin type at the start of the treatment. Followed by a back, neck, shoulder, scalp and facial aromatherapy massage with essential oils to aid sleep and relaxation together with base oils chosen to perfectly match your skin requirements. An application of Beauty Sleep Body Butter to enhance a restful sleep and leave your skin soft, smooth and silky. 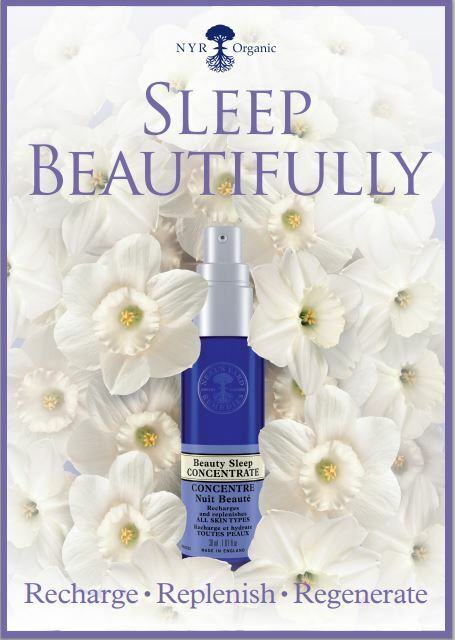 At the end of the body massage, Beauty Sleep Concentrate will be applied to your face. This product has been clinically proven to increase skin’s moisture levels by up to 98% overnight. Infused with naturally regenerative narcissus tazetta bulb extract, a smoothing tri-peptide and antioxidant-rich nourishing grape seed oil, for skin that looks and feels beautifully moisturised, replenished and recharged. With a delightful blend of aromatherapy essential oils renowned for their calming, relaxing properties. Goodie bag to take away to include Night Time Tea, Beauty Sleep Concentrate sample sachets, Beauty Sleep Lotion/Body butter sample pot. Additional bespoke blends and products are available to support your journey to the land of nod in between treatments at home – such as bath blends, beauty sleep body butter, oils recommended for home use.